Linda Shenton Matchett: It's Official! Love's Harvest now available on Amazon! 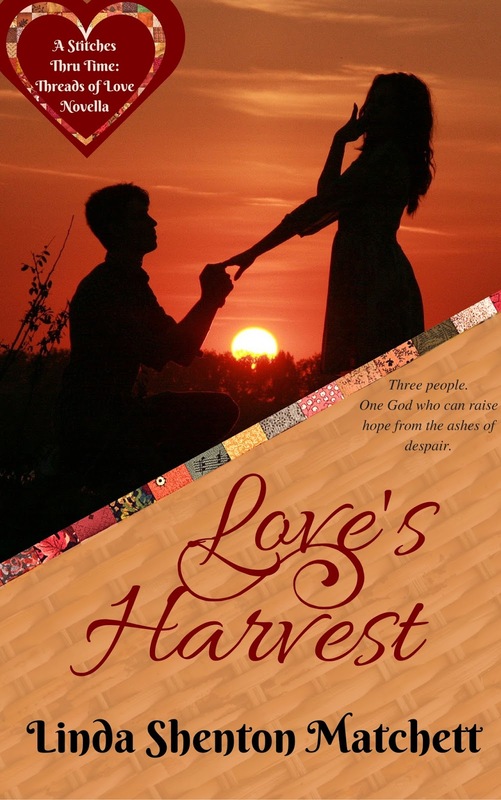 I am so pleased to announce that Love's Harvest, my fictionalization of the book of Ruth, has officially been released on Amazon. Currently available as an ebook only. Coming to print publication this summer! My website has been updated to include a page about the book. Join me tonight on Facebook for my launch party. The festivities will begin at 8:15 Eastern time. There will be lots of great conversation and some fun door prizes.